← Striped bass control: cure worse than disease? Reconciliation or extinction—the future of California? It is easy to be pessimistic about the future of familiar life on this planet, especially here in California. We face an ever-growing human population, the rise of consumerism, and the refusal of most Americans to recognize that their life style is a major contributor to the problem. Climate change also threatens to create additional drastic changes to the world as we know it. Yet the rise of tourism at Chernobyl (with wildlife a major attraction), and the wildness of the ‘demilitarized’ zone between North and South Korea point to the resiliency of our landscapes. If anyone asks me about this resiliency, I tell them to go to the South Yuba River, specifically Malakoff Diggins State Park. It is hard to imagine greater devastation to a landscape than that created by hydraulic mining in the 19th century—the washing away of hillsides, dams and ditches everywhere, and trees and shrubs cut for buildings, sluices, and firewood. The old photos show a barren, rapidly eroding landscape and rivers empty of fish. Today, the ‘diggins’ are thick with vegetation in most places and large trees grow from mine tailings. Native frogs, fish, and insects inhabit streams flowing through the damaged landscape. Teaching a class along shady Humbug Creek, I have pointed out to students that the moss-covered log on which they were sitting was the nozzle of a hydraulic hose. Recovery was sufficient in 100 years for the region to become a place for urban refugees, led by poet Gary Snyder. 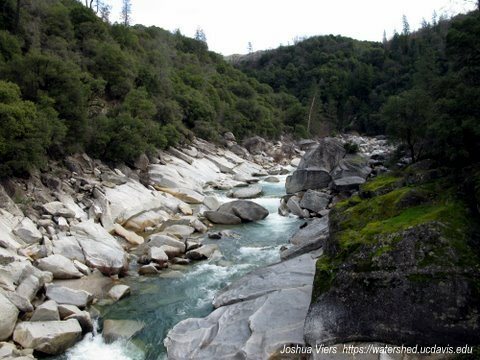 The forests continue to recover, with help, and the South Yuba is clear and warm in summer, ideal for swimming. Yet the local habitats are not the same as those prior to the Gold Rush and never will be. Too many alien species, European grasses, star thistle, bullfrogs and turkeys have invaded. Humans live scattered across the landscape with their gardens, ponds, livestock, and ability to suppress fires. The mining era dams and ditches now deliver water to distant cities and farms. In the South Yuba, at least four species of native fish are still missing, including Chinook salmon and steelhead. The South Yuba watershed is what can be called a partially reconciled landscape, where humans live in a damaged environment but some, at least, work to make it a better place for them and for native wild plants and animals. It is an evolving ecosystem, with change directed by humans, both deliberately and inadvertently. Improving the area further for desirable wild organisms will require considerable conscious effort. For example, removal or modification of Englebright Dam will be required to restore salmon and steelhead runs, along with modifying flow releases from upstream dams. Some humble native fish species, California roach and riffle sculpin, would have to be reintroduced by bringing them in from nearby sources. Reconciliation ecology, a term coined by Arizona ecologist Michael Rosenzweig, can guide our future relationships with our landscapes, especially to maintain California’s many unique native plants and animals. Setting aside reserves and conducting restoration projects will never give our biota adequate protection to prevent large-scale extinction. Increasingly, we need to consciously, deliberately and using the best ecological knowledge available, change our human dominated landscapes in ways that favor desirable species. This is not easy to do, especially in more urbanized areas, but reconciliation seems a better option than extinction. To learn more about Yuba River reconciliation, see “The Nature of this Place” (2010), by B. Boyd and L. Greensfelder, Yuba Watershed Institute. Gary Snyder (professor emeritus, English, UC Davis) and David Lukas (nature journalist and educator) will give a reading and talk about their contributions to “The Nature of this Place” on Feb 11th, 12-1 p.m. in the King Lounge of the Memorial Union on the UC Davis campus. Peter Moyle is a fish biology professor and an associate director of the UC Davis Center for Watershed Sciences. 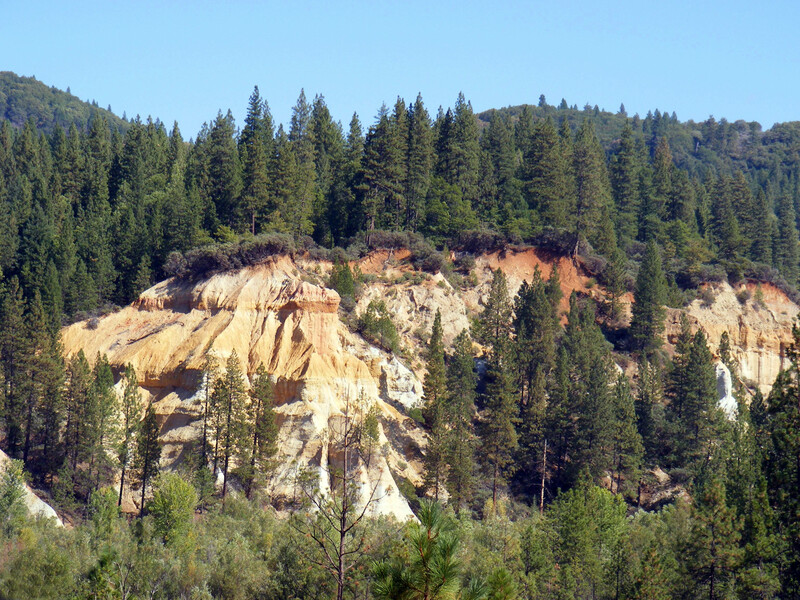 This entry was posted in reconciliation and tagged California, extinction, Malakoff Diggins State Park, Moyle, reconciliation, reconciliation ecology, South Yuba, UC Davis Center for Watershed Sciences. Bookmark the permalink. 1 Response to Reconciliation or extinction—the future of California?